Smoke from B.C. 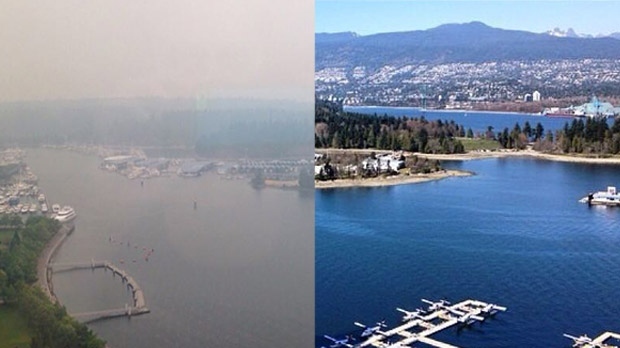 wildfires blanketed Metro Vancouver skies this weekend, obscuring views of downtown and even the North Shore mountains. Residents took to social media to document the darkened skies and the dramatic change in how their city looked. #Vancouver over the past 4 days, from @VanMag_com offices. I never though I'd say this, but I miss Toronto summers.